Airfix have chosen the standard B.R. 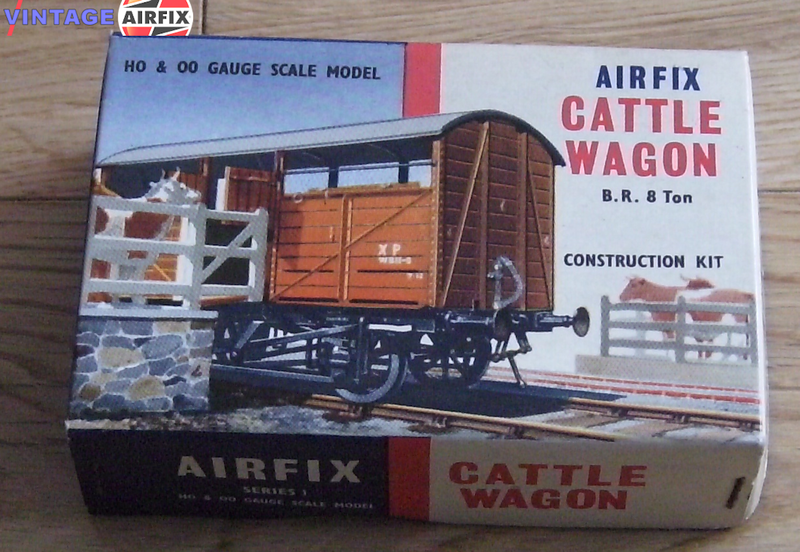 Cattle Wagon on which to model this 40-part kit. Real loading and unloading operations can be carried out because the 4-sided doors on both sides actually work. Ramps are also provided, so that used in conjunction with the S4 farm- stock from the "00" scale figures series, lifelike scenes can be created. Alternative couplings are provided, and a sheet of transfers for correct markings.